Recently some sketchy home videos have emerged online under the advertising campaign of “Darren’s Timeless Memories”. It’s supposed to be a company that converts VHS to DVD, and with some samples that consist of eery family videos, it is then found out that one of them is a video containing the two girls that the film focuses on. I’ve attempted to go onto the website for this company, only to find static followed by an error page, creepy huh? In any case, one can speculate that this company may stand for something in the film; uncovering the past with videos maybe? As such the movie may now not entirely be set in the past, but instead someone trying to look at the tapes in the present, but the question is who?? I’ll keep updating you guys on any new information involving this intriguing viral campaign. 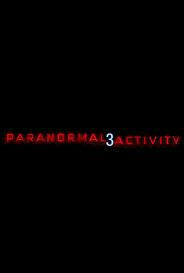 Comments for Paranormal Activity 3 Viral Campaign are now closed.